H color diamonds generally come under the heading of near-colorless. They don’t match the non-color standards of D, E or F diamonds, but it’s unlikely all but an expert eye would see even a hint of color. Learn everything that you need to know about H Color diamonds. They are probably the ultimate compromise between quality and cost. By not being colorless, the price drops quite sharply, but they will look colorless in almost any setting. Technically, H color diamonds are not colorless. They have a trace of color, usually yellow, which has an effect on pricing if not much else. H diamonds can retail for up to 40% less than a D color diamond, despite looking identical to the naked eye. You would need to compare the two side by side in order to be able to tell the difference. That’s what diamond dealers do, actually. They use graded sample diamonds to asses the color of one yet to be given a color. In theory, an H color diamond could be less yellow than the sample H color but, because it has more color than the G sample stone, it will have the H rating. Diamond color, in almost all circumstances, until you get towards the bottom of the chart will look similar. Without controlled lighting in an equally controlled environment, anything from D-color to I-color or possibly even J-color will look colorless. So why do we bother with so many colors on the chart? Why not just have three grades of colorless, faint color and light color? Part of the reason is simply that quality does matter. 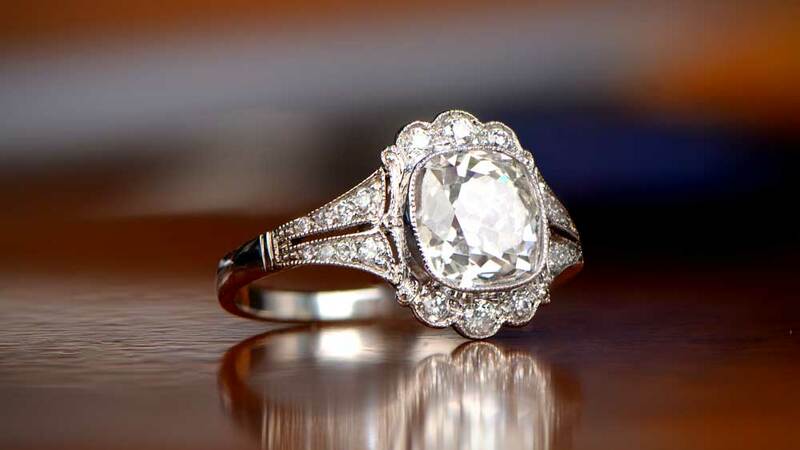 It also helps with pricing the various diamonds, as it would not be desirable to have a truly colorless diamond priced the same as what we know as H color. Diamonds aren’t necessarily the investment opportunity you might think. The best diamonds – those with D, E and F color, superb clarity, perfect cut, and high carat weight – will almost certainly appreciate in value over time. The rest, though, are nowhere near as likely to be worth more in 20 years than they are today. Most, in fact, will lose value the second they leave the store. An H diamond is likely to be up to 40% cheaper than buying a D diamond. This really takes it out of the investment bracket. You would likely need a sizeable H color diamond of 5ct and above before there is any chance of a return on your investment. This, of course, is offset by the much lower price that you pay to buy an H diamond. The good news is that an H color diamond is likely to get you more of a return rate than a diamond of lesser color. Once you get to I or J color diamonds, there is a definite risk that platinum or white gold settings will expose even the faint color present at that grade. With an H color diamond, the risk is greatly reduced, and most will sit quite happily on white metals. 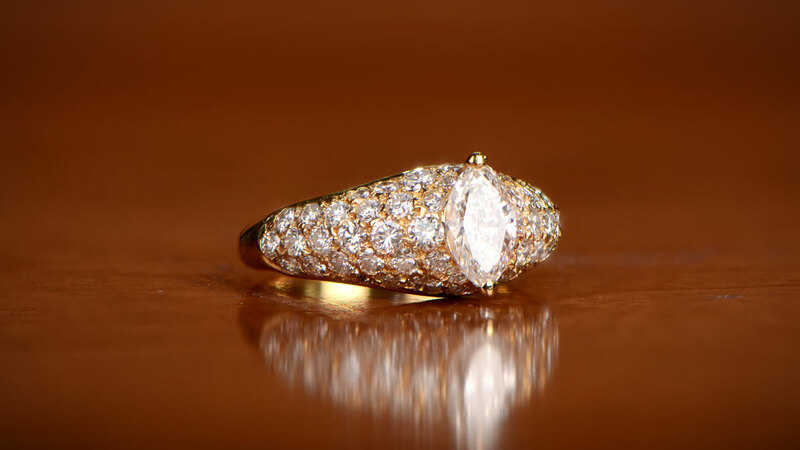 In a yellow gold setting, the very faint color in an H diamond can be enhanced, but never to the point that the diamond ever looks yellow in any way. Instead, it just adds a little warmth to the overall look of the ring. H color diamonds also work very well with colored stones. Where sometimes yellower diamonds can look a little “dirty” alongside sapphires or rubies, H colors maintain their non-detectable color status very well. They also perform very well set in earrings, as the more unpredictable light allows them to sparkle noticeably when exposed. 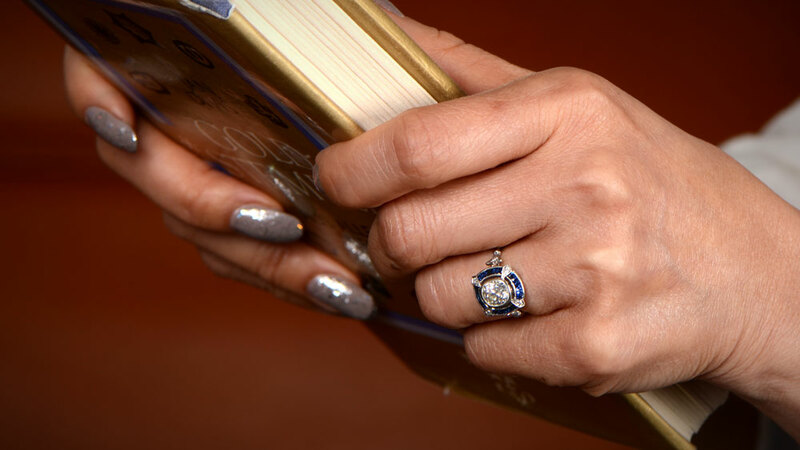 How much does an H color Diamond Cost? Like all diamonds, H color diamonds vary in price. The additional factors mentioned below will greatly affect the bottom line. Color is generally unaffected by the other 3Cs, and vice versa. Cut and clarity do have a relationship of sorts. A poorly cut diamond can fail to eliminate flaws and inclusions in the original rough stone. Color, though, like the carat weight, are really standalone classifications. The only time weight becomes a factor is with larger stones. The price curve of diamonds isn’t constant. Where a 1ct D color diamond might be 30-40% more expensive than an H color, a 3ct stone might be 60-70% more expensive. Large diamonds are very rare, and large D color diamonds exceedingly so. Large H color diamonds, whilst rare enough to make a difference, don’t get anywhere near the price of the best colors. H color diamonds, as we mentioned above, are an excellent compromise buy in the best possible sense. You won’t pay anywhere near the price of D or E color stones, and yet the color difference is very small. So small as to not matter in most cases. If I or J color stones are just starting to get a little too yellow for your taste, or for your desired setting, then H can be a big leap forward.